Sure, chocolate Advent calendars are great when you're young and not privy to indulgences greater than candy (no, Drew Barrymore, not nose candy). But now that you're painfully old, you might as well dull the sorrows of age with indulgences like whisky. 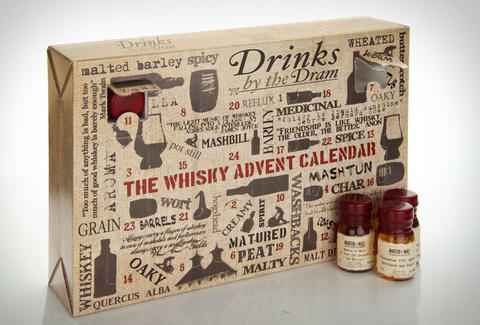 Thankfully, the Whisky Advent Calendar has 24 different compartments, each stuffed with a surprise 1oz sample of brown water, one of which is a 50yr-old single malt. Sorry to ruin the surprise.